Home / Region / Baton Rouge / LAFM TV Show! 13th Season! Episode 15 Now Available On YouTube! 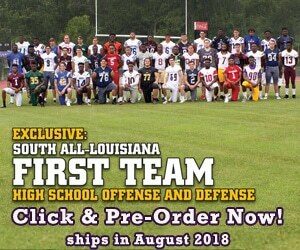 Hello Louisiana Football Fans! Missed our last show? Well, we got you covered. For those that have not gotten the chance to see our last show, it is now posted on our YouTube page. If you subscribe below, you will be able to catch every show throughout the year! 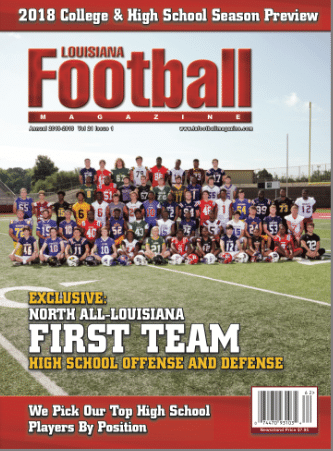 For the 15th show of the 2018-2019 Louisiana Football T.V. 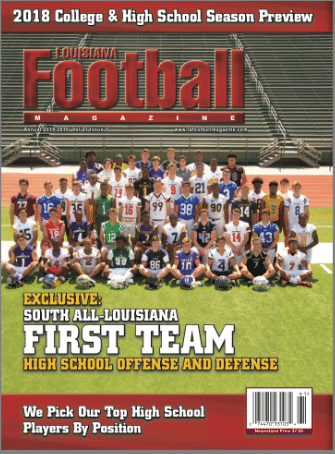 Magazine season, we had the father of Destrehan star running back and LSU signee John Emery Jr. in John Emery Sr. John Emery Sr. talked about his son and gave his thoughts on how the recruiting process has changed since when he signed with Tennessee back in the 1990’s. Also, his son John Emery Jr. called into the show to talk about signing with the LSU Tigers! We also had Leesville High School Head Coach Robert Causey in studio to talk about one of their best seasons in program history. Their star senior offensive lineman and Nebraska signee Matthew Anderson is also an in-studio guest. 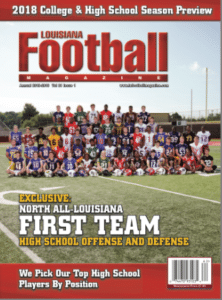 He talked about the Wampus Cats’ big season, signing with the Cornhuskers, and much more. Then, as always, LAFM TV host Lee Brecheen gives out his recruits of the week.